Capital Exhibits has been providing companies just like yours with 3D Modeling Rendering, graphic art design services since 1994. In fact, as a leader among professional graphic design firms, we are the go-to for Phoenix, Tucson, Mesa, Chandler and Glendale, Arizona, businesses that need top notch trade show booth concepts. CE has staff of professional print graphics and 3d modeling designers to help you with all your marketing designs needs. We also provide poster printing services for clients in AZ. We can get any rush jobs done in matter of days. Get a quote for your next graphic design AZ and 3D design needs. Our motto is to Build Your Best Image. 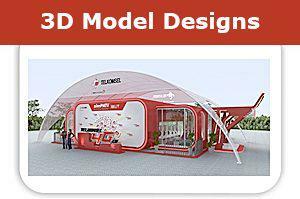 We understand that so much depends on how you’re represented at industry events, and we take the time to discover the best graphic design idea, 3d modeling for each and every client. From developing and manufacturing a 50-foot display to designing a company tee shirt, your trade show displays are sure to make the best impression when you go with Capital Exhibits. The Capital Exhibits team has an extensive educational background in graphic and branding design and photography. This visual expertise puts us in a prime position to assist clients with the latest graphic design trends and techniques and 3d modeling rendering designs. 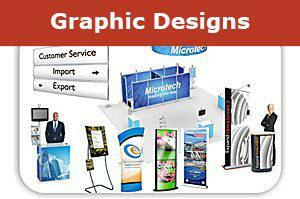 We have a commitment to quality that is unmatched even by other top graphic design companies. Of course, this level of professionalism does not mean sky-high logo design prices. While we don’t offer cheap graphic design, we do take pride in our competitive rates. Because we do so much of the work in-house, we’re able to pass the savings on to you. What exactly can you get from Capital Exhibits? First, choose how large you want your display to be. We can do something as small as a tabletop display, or we can develop exhibits that exceed 50 feet. Next, determine which style will work best at your event. Exhibition and fair graphic design can mean a hanging display for your back wall, stands for monitors at kiosks, pop ups or hybrids. We’ll also be happy to discuss accessories like tablecloths, literature racks, lights and flooring. Print design pricing and tee shirt graphic design prices will be fully disclosed, and we promise you’ll go forward feeling confident in your choice of graphic designing companies. First impressions last a lifetime, and our job is to make certain that yours attracts people to your booth and keeps them there for the presentation. From the first mention of graphic design quotes and rates to delivering your finished project within a matter of days, Capital Exhibits is a trusted name for those looking for a graphic artist. Regardless of the size of your business, and no matter if you’re well established or up-and-coming, it’s never been easier to hire a graphic designer. Contact Capital Exhibits today to learn more, and we’ll look forward to working with your Arizona company.